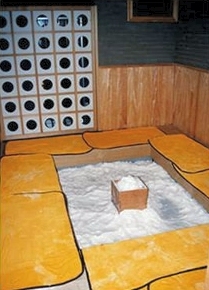 Salt saunas can be found in both bathhouse and jjimjilbang and they are one of my favourite destinations. They tend to be a slightly specialist facility which means you won’t find them in every establishment. 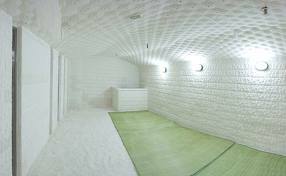 You will find the salt experience differs between that offered in a bathhouse and that in a jjimjilbang. 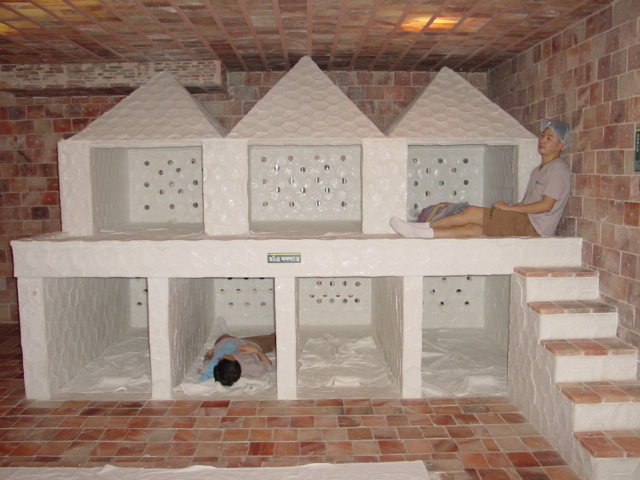 Jjimjilbang salt saunas often have walls and or ceilings made from rock salt or they have a large area filled with coarse rock salt in which you can submerse your limbs and body and enjoy the radiant warmth. In a bathhouse, a salt sauna usually has large pot of salt which you rub over your body allowing the salt to both scrub and purge you skin clean. 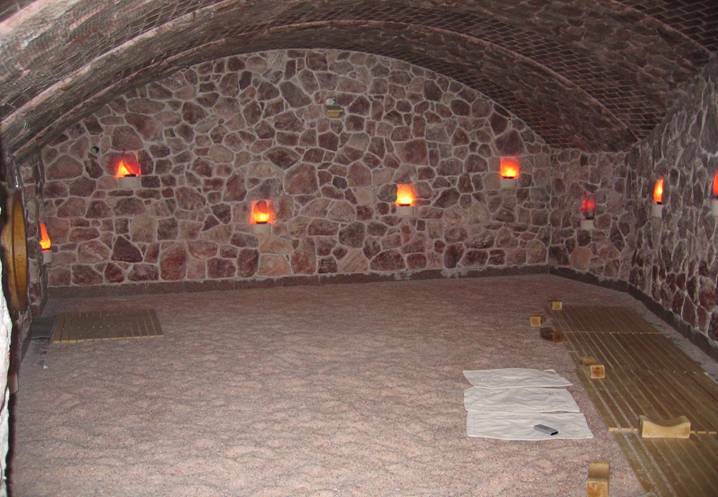 The bathhouse salt room is often combined with other properties as it may, for example, have jade or bamboo charcoal walls walls. The bathhouse salt sauna is one of my favourite places and you really do feel clean after rubbing your body with salt and then allowing it to dissolve as you sweat. I usually take a small bowl of water in with me as this helps to make the salt cling to your body and don’t forget to take a towel or large scrubbing cloth in with you as often the seats are wooden and they can burn your backside. As a point of interest, salt is very useful at removing smells and in a Korean market you can buy fresh mackerel which has been sprinkled in salt which you then wash off before cooking – it reduces the smell of the fish as it cooks. I’m not sure however, how well this works on body odours! This is very interesting. I would imagine the skin feels so soft and smooth after a salt sauana.